In 2017, 1300 young people stayed in homeless shelters in Columbus and Franklin County. 532 of them were teenagers who found safety and support at the Huckleberry House crisis shelter. Another 76 young adults did not have to go to a homeless shelter because the Huck House Transitional Living Program gave them a safe place to live while gaining the education, employment, and life skills needed to live independently in permanent housing. 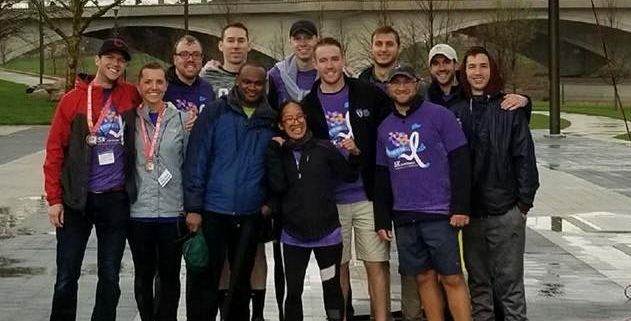 On April 12, Columbus Gives Back will be sleeping outside at COSI – warm or cold, rain or shine – to raise awareness about the serious issue of youth homelessness in central Ohio. How to Register: Please register for here by March 30th. What to Bring/Wear: Please bring a sleeping bag and dress comfortably for the night. The event will go on rain or shine, and temperatures may be much cooler after sundown. Additional Information: Our event leaders will send email updates to fellow team members with more detailed info and logistics prior to the event. We’ll plan to do #socialtwist dinner (time and location TBD) before the event kicks off on Friday. About Huckleberry House: The Huckleberry House works relentlessly to ensure all young people in our community have access to a safe home environment as well as the guidance they need to develop skills and find resources that can help them navigate and cope with the pressures of life. Through their Crisis Shelter, family and individual counseling, community outreach, and independent living skills training, Huck House helps them take the first steps in a better direction.